Vietnam is a nation going places. Fast. Its people are energetic, direct, sharp in commerce and resilient by nature. This is an outrageously fun country to explore, the locals love a laugh (and a drink) and you’ll have plenty of opportunities to socialise with them and hear their tales. The American War is over, and yet its impact endures – you’ll find reminders of that cataclysmic conflict everywhere you travel. That said, the country was never broken and emerged with its pride intact. Poor in parts but never squalid, Vietnam is developing at an astonishing pace. For travellers, there are issues to consider (including minor scams), but little real danger – on the whole it’s a safe, wonderfully rewarding and incredibly varied country to explore. This is a country of myriad influences and reference points. In the south, Indian and Hindu culture had a lasting influence in the Cham temples and spicy regional cuisine, spiked with chilli and tempered with coconut. Head north and Chinese connections are far more apparent. Between these two competing cultures, you’ll find a quintessential Vietnam in the central provinces: the graceful historic old port of Hoi An, and the royal tombs, pagodas and imperial cuisine of Hue. Oh, and there’s more, far more. Factor in an enduring French colonial legacy, which is evident in Hanoi’s graceful boulevards, in Ho Chi Minh City’s stately museums and in the crispy baguettes and coffee culture you’ll find on every street corner. Add the American interlude, more than 50 hill tribes, and of course the proud (battletested and victorious) ruling Communist Party ideology and you’ve got Vietnam: heady, intoxicating and unique. If you want visual dramatics, Vietnam delivers. Cruise an azure ocean pierced by surreal- looking limestone islands in Halong Bay, slalom through the majestic inland karst mountains of Cao Bang. Hike mountain tracks and explore tribal villages near Sapa and Bac Ha. Then witness the spectacular sandy bays of the central coastline and explore the reefs and coves of the Cham and Con Dao Islands. Highway 1 is near-relentlessly urban, so get off it at regular intervals to see the astonishing cave systems of Phong Nha, national parks like Cat Tien, and the bewitching back waters of the Mekong Delta. Finally, no visit would be complete without experiencing the energy of big-city life in Vietnam’s capital Hanoi, the grand old lady of the Orient, and Ho Chi Minh City, the engine room of the economy and the nation. The cost of travel in Vietnam varies from bargain basement to sky high, depending on taste and comfort. Ascetics could just about get by on US$15 a day, while a conventional budget traveller can live it up from US$25 to US$35. Midrange travellers can have a ball from US$50 to US$150 a day, staying comfortably, eating well and travelling flexibly. At the top end, spending US$250 or more a day, anything is possible. Vietnam is not quite as cheap as it used to be thanks to rampant inflation, but it is still a great deal compared with many parts of the world. The official currency is the Vietnam dong (d), but the US dollar is pretty widely accepted. In tourist centres, most hotels will accept either, while other businesses may prefer dong. As you venture off the trail, make sure you are packing plenty of local currency. Rooms start from as little as US$5 in busy tourist centres. Spending US$10 to US$30 will boost the comforts quickly, and rooms will generally include air-con, satellite TV, fridge and hot water. Make the step up to US$50 and three-star frills are available. At US$100 and above, it’s five-star territory in many destinations, although Hanoi and Ho Chi Minh City (HCMC) tend to be more expensive than the provinces. Don’t be afraid to negotiate for a discount if it is low season or if numbers are down. Dining out is where Vietnam comes into its own. Surfing the street stalls and markets, meals can be found for US$1 or less. Local restaurants are more comfortable and you can eat well for between US$2 and US$5. Then there are the Vietnamese gourmet restaurants, where you can still only spend around US$15 with drinks; with the right wines you could easily spend US$50. Domestic flights are quite good value for longer journeys, particularly with lowcost carrier Jetstar Pacific on the scene. A one-way ticket from Hanoi to HCMC is around US$100, although Jetstar can be cheaper. Trains are great value and overnight sleepers are a good way to cover long distances like Hanoi to Hue or HCMC to Nha Trang. Bus travel is a bargain by Western standards, as long as you manage to pay the local price. Public buses between major destinations have fixed fares, but for bus travel in remote areas, overcharging is the rule. For maximum flexibility, many travellers prefer to rent a car or 4WD and go exploring with a guide. Costs run from about US$30 around town to US$100 or more a day up-country (including the driver’s food and lodging). A guide costs from US$15 to US$50, depending on the destination. Foreigners are sometimes overcharged, particularly when buying souvenirs and occasionally in restaurants. Transport prices are sometimes bumped up to several times the Vietnamese price. However, don’t assume that everyone is trying to rip you off. Despite widespread poverty, many Vietnamese will only ask the local price for many goods and services. 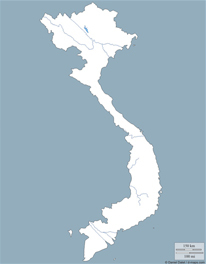 The first currency of Vietnam is the dong, which is abbreviated to ‘d’. Banknotes come in denominations of 500d, 1000d, 2000d, 5000d, 10,000d, 20,000d, 50,000d, 100,000d, 200,000d and 500,000d. Now that Ho Chi Minh has been canonised (against his wishes), his picture is on every banknote. Coins are also in circulation, although they are more common in the cities, and include 500d, 1000d and 5000d. The second currency is the US dollar and that needs no introduction. The dong has experienced its ups and downs. The late 1990s Asian economic crisis, which wreaked severe havoc on the regional currencies, caused the dong to lose about 15% of its US-dollar value. Since then the dong has stabilised at around 16,000d to 17,000d to the US dollar. Where prices on the ground are quoted in dong, we quote them in this book in dong. Likewise, when prices are quoted in dollars, we follow suit. While this may seem inconsistent, this is the way it’s done in Vietnam and the sooner you get used to thinking comparatively in dong and dollars, the easier your travels will be. Some bargaining is essential in most tourist transactions. Remember that in Asia ‘saving face’ is important, so bargaining should be good-natured. Smile and don’t get angry or argue. In some cases you will be able to get a 50% discount or more, at other times this may only be 10%. And once the money is accepted, the deal is done. Don’t waste time getting stressed if you find out someone else got it for less; it is about paying the price that is right for you, not always the local price. Tipping is not expected in Vietnam, but it is enormously appreciated. For a person who earns US$100 per month, a US$1 tip is significant. Upmarket hotels and some restaurants may levy a 5% service charge, but this may not make it to the staff. If you stay a couple of days in the same hotel, try and remember to tip the staff who clean your room. You should also consider tipping drivers and guides – after all, the time they spend on the road with you means time away from home and family. Typically, travellers on minibus tours will pool together to collect a communal tip to be split between the guide and driver. It is considered proper to make a small donation at the end of a visit to a pagoda, especially if a monk has shown you around; most pagodas have contribution boxes for this purpose. The only vaccine required by international regulations is yellow fever. Proof of vaccination will only be required if you have visited a country in the yellow-fever zone within the six days prior to entering Vietnam. If you are travelling to Vietnam from Africa or South America you should check to see if you require proof of vaccination. Just as you’re about to dig into the scrumptious Vietnamese meal you’ve ordered, you feel a tug on your shirt sleeve. This latest ‘annoyance’ is a bony, eight-year-old boy holding his three-year-old sister in his arms. The little girl has a distended stomach and her hungry eyes are fixed on your full plate. This is the face of poverty. How do you deal with these situations? If you’re like most of us, then not very well. Taking the matter into your own hands by giving out money or gifts to people on the streets can cause more damage than good. The more people are given handouts, the more reliant and attracted to life on the streets they become. When money is tight, people recognise that life on the streets is no longer so fruitful. This will hopefully discourage parents and ‘pimps’ forcing children and beggars onto the streets. One way to contribute and help improve the situation is to invest just a few hours to find out about local organisations that work with disadvantaged people; these groups are far more likely to make sure contributions are used in the most effective way possible to help those who need it. However, if you want to do something on the spot, at least avoid giving money or anything that can be sold. The elderly and the young are easily controlled and are ideal begging tools. If you are going to give something directly to a beggar, it’s better to give food than money; take them to a market or stall and buy them a nutritious meal or some fruit to be sure they are the only beneficiaries. Con artists and thieves are always seeking new tricks to separate naive tourists from their money and are becoming more savvy in their ways. We can’t warn you about every trick you might encounter, so maintain a healthy scepticism and be prepared to argue when unnecessary demands are made for your money. Beware of a motorbike-rental scam that some travellers have encountered in HCMC. Rent a motorbike and the owner supplies an excellent lock, insisting you use it. What he doesn’t tell you is that he has another key and that somebody will follow you and ‘steal’ the bike at the first opportunity. You then have to pay for a new bike, as per the signed contract. More common is when your motorbike won’t start after you parked it in a ‘safe’ area with a guard. But yes, the guard knows somebody who can repair your bike. The mechanic shows up and quickly reinstalls the parts they removed earlier and the bike works again. That will be US$10, please. Beware of massage boys who, after a price has been agreed upon, try to extort money from you afterwards by threatening to set the police on you (these threats are generally empty ones). The most common scam most visitors encounter is the oldest in the book. The hotel of choice is ‘closed’ or ‘full’, but the helpful taxi driver will take you somewhere else. This has been perfected in Hanoi, where there are often several hotels with the same name in the same area. Book by telephone or email in advance and stop the scammers in their tracks. The Vietnamese are convinced that their cities are full of criminals. Street crime is commonplace in HCMC and Nha Trang, and on the rise in Hanoi, so it doesn’t hurt to keep the antennae up wherever you are. HCMC is the place to really keep your wits about you. Don’t have anything dangling from your body that you are not ready to part with, including bags and jewellery, which might tempt a robber. Keep an eye out for the Saigon cowboys – drive-by thieves on motorbikes – they specialise in snatching handbags and cameras from tourists on foot and taking cyclos (pedicabs) in the city. Pickpocketing, which often involves kids, women with babies and newspaper vendors, is also a serious problem, especially in the tourist areas of HCMC. Many of the street kids, adorable as they may be, are very skilled at liberating people from their wallets. Avoid putting things down while you’re eating, or at least take the precaution of fastening these items to your seat with a strap or chain. Remember, any luggage that you leave unattended for even a moment may grow legs and vanish. There are also ‘taxi girls’ (sometimes transvestites) who approach Western men, give them a big hug, often more, and ask if they’d like ‘a good time’. Then they suddenly change their mind and depart, along with a mobile phone and wallet. We have also had reports of people being drugged and robbed on long-distance buses. It usually starts with a friendly passenger offering a free Coke, which turns out to be a chloralhydrate cocktail. You wake up hours later to find your valuables and new-found ‘friend’ gone. Despite all this, don’t be overly paranoid. Although crime certainly exists and you need to be aware of it, theft in Vietnam does not seem to be any worse than what you’d expect anywhere else. Don’t assume that everyone’s a thief. 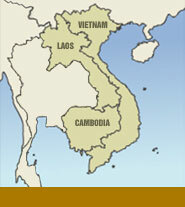 When it comes to weather, it’s a tough call, as Vietnam’s climate is so diverse. Think frosts and occasional snow in the mountains of the north, and temperatures soaring to 40°C in the south during the dry season. Vietnam’s weather is dictated by two monsoons, meaning double trouble on the rain front. The winter monsoon comes from the northeast between October and March, bringing damp and chilly winters to all areas north of Nha Trang, and dry and warm temperatures to the south. From April or May to October, the summer monsoon brings hot, humid weather to the whole country except for those areas sheltered by mountains. For the best balance, we’d vote for the months of April, May or October. For those sticking to the south, November to February is dry and a touch cooler. From July to November, violent and unpredictable typhoons hit central and northern Vietnam, which can dampen the spirits of even the most enthusiastic traveller. It gets pretty crowded from November to March and in July and August during high season. Domestic tourists are a major force now and they tend to travel in numbers during July and August as well. Prices peak over the Christmas and New Year period, and if you don’t fancy sharing the sites with the masses, try to avoid this busy time. May, June and September are usually the quietest months. Vietnam's culture demands that you observe certain strictures, although the Vietnamese are generally very forgiving of unintentional faux pas. Petty urban crime and military sensitivity aside, the Vietnamese are very welcoming to their visitors. Vietnamese hospitality will make you feel right at home, more so when you keep the following tips in mind. Dress conservatively wherever possible. The Vietnamese are generally modest about clothing, and look askance at visitors wearing far too little in public. Dress lightly if you must, but not overly so - avoid tops with plunging necklines, spaghetti-strap tops, and short shorts where possible. This goes double for visiting temples and pagodas - keep your arms and legs covered, and hide as much bare skin as you can. It's extremely rude to go to such places while insufficiently dressed. Don't show off; keep a low profile. Flaunting wealth is impolite; don't look like an Ugly American with far too much gold and far too little sense. Don't carry more money than you need when walking in public. Don't wear too much jewelry. Not only is this good manners, you also reduce the risk of becoming the next victim of a drive-by bag snatcher. Don't talk about the Vietnam War. Avoid talking about politics altogether. The Vietnamese have mixed feelings about the "American war", and are understandably averse to bringing it up in the presence of American citizens. Don't cause Vietnamese to "lose face". The concept of "saving face" is extremely important in East Asian social relationships. Avoid behavior that causes embarrassment to another party, and hold back behavior that can be misconstrued as overly aggressive. Don't force money on other parties. Don't wheedle or insist. Most importantly, don't lose your temper in public; try to be cool and collected whenever possible. Don't be too camera-happy. Ask people's permission before you take their picture - not all of them want their picture taken. This goes double for pictures in rural ethnic villages. This goes triple for military installations and equipment!